Pelham Commons, the dining hall in the basement of West Hall, switched to an all-you-can-eat buffet. 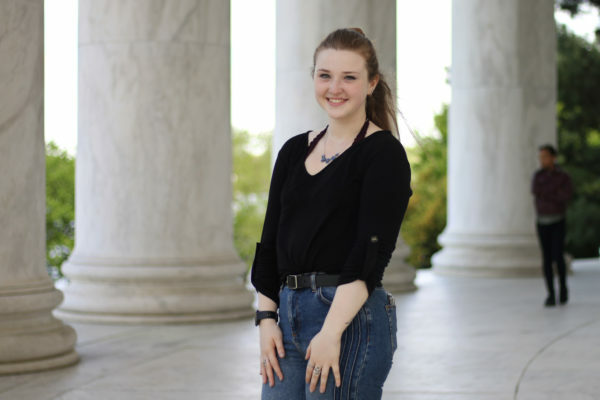 At GW’s on-campus dining halls, students used to lay down hot plates and pay per pound of food they planned to consume. Now on the Mount Vernon Campus, the University is offering residents a buffet at a set price. 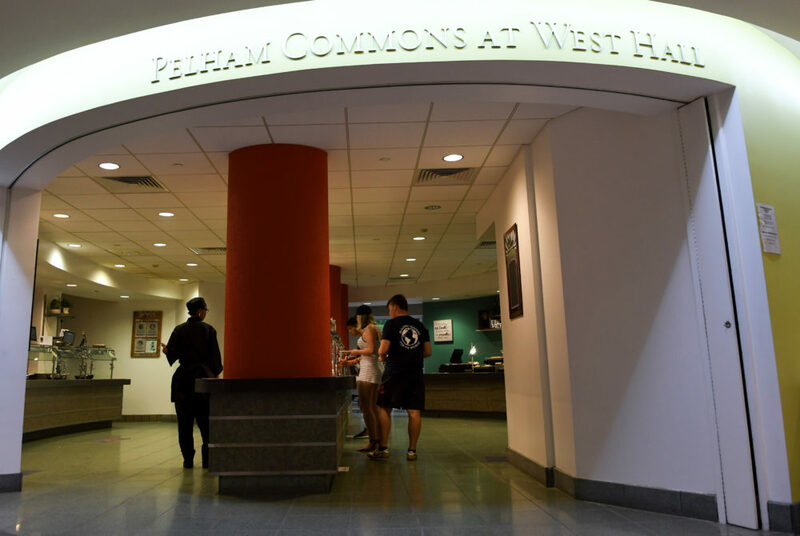 Pelham Commons, the dining hall in the basement of West Hall, switched to an all-you-can-eat buffet, with rotating hot plates, beverages, desserts, and a salad and sandwich bar, for the fall semester. 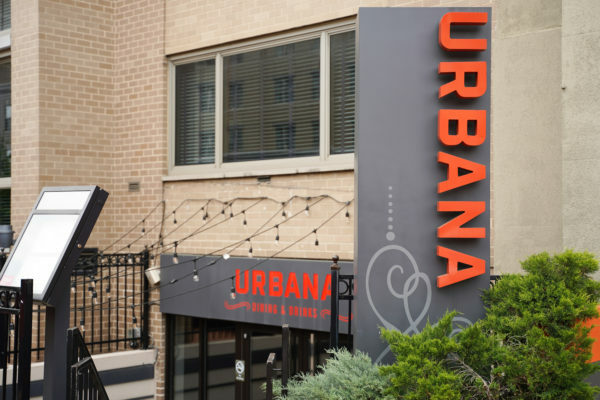 GW closed J Street, the Foggy Bottom Campus’ only dining hall, in 2016 and switched to an open dining plan in which students can spend meal plan money at area restaurants and eateries. Pelham Commons remained open, but is now run by SAGE Dining Services and operates with a new format. 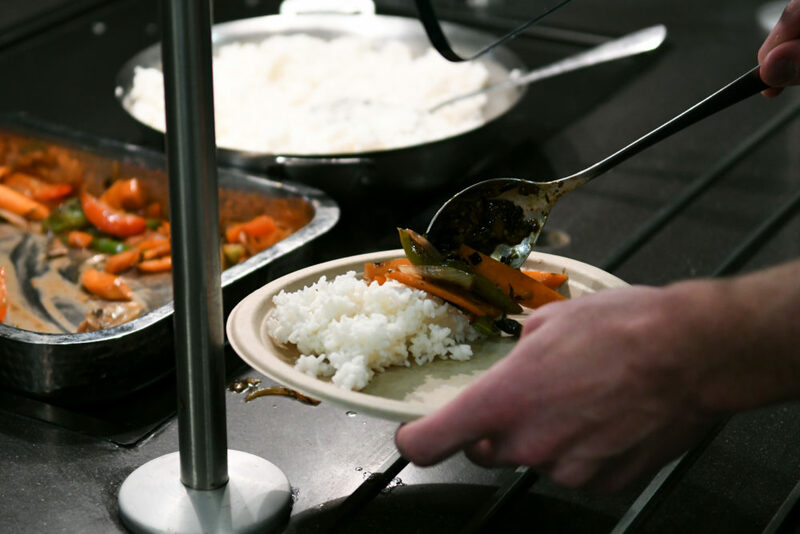 Two years following the meal plan changes, students and parents complained that costly dining options led to skipped meals and limited diets – especially for freshmen, who are new to buying food themselves. 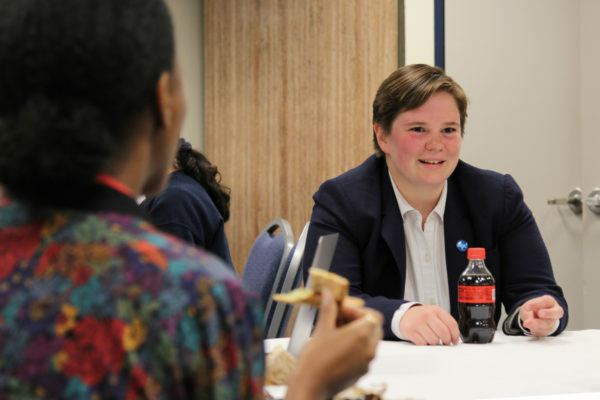 But, students can now pay an all-you-can-eat price of $8 for lunch, $10 for dinner and $12 for Sunday brunch – the closest GW has come to a traditional dining hall in recent history. Lunch and brunch are served from 11 a.m. to 2 p.m. and from 10:30 a.m. to 2 p.m. on Sunday, and dinner lasts from 5 to 9 p.m. every day. Vernies looking for a nighttime snack can take advantage of the dining hall’s late-night grill hours Mondays through Thursdays 9 p.m. to midnight. If you haven’t taken the Vern Express ride to try the new dining hall, the interior of the space has hardly changed, but students now pay at a cash register before picking up food and must carry a receipt in hand when going for seconds. The food stations still feature staples like rotating entrees and a deli bar with meats and cheese on standby. As far as dining hall food goes, the new service is a step up from previous offerings. Along with rotating entrees, you can stock up on sodas, hot beverages, cereal and more at no extra cost. Walter Ellerbe, a former executive chef who now works at SAGE Dining Services, said there was a conscious effort from GW to include more sustainable food practices and locally grown ingredients. Striving for fresher food, Ellerbe said the dining hall now offers options like deli meat roasted in-house and produce chosen from local farms within 150 miles of the University, mostly within Maryland and Virginia. New technology has been added, so students can see each dish’s ingredients and emblems denoting vegetarian dishes and possible allergens on computer screens. The dining hall also uses an app called Touch of SAGE so students can see the menu up to 16 weeks in advance. The food stations still feature staples like a deli bar with meats and cheese on standby and a soup of the day, but also adds meals that are a step up from what you would expect to find in a dining hall. At the main food station, Friday’s lunch offerings included string beans, risotto, chicken enchiladas and fettuccine – what Ellerbe called a “potpourri” of cuisines. Another syllabus week menu included vegetable napoleons of marinated portobello mushrooms and vine ripe tomatoes. With a slapdash plate of halibut, greasy queso and steamed veggies, my lunch left me stuffed without feeling pressure to restock my plate. But it was difficult to resist a dessert of churros and hot coffee knowing I could go for seconds, though I should’ve skipped out on the too-chewy chocolate-dipped pretzels. At brunch, a bagel selection with a variety of spreads and trays of french toast and bacon offered options to easily grab, while diners could also make their own waffle or wait as a chef prepared omelets that are made to order. In addition to its regular offerings, the dining hall will diversify its meal options and take on different country’s cuisines on select days. This week featured a take on Korean entrees and a menu consisting of Italian food, which Ellerbe said feature recipes that remain true to their roots. Pelham Common’s new dining plan reinvigorates dining on the Mount Vernon Campus, whether you are looking for a quick plate to stave off hunger between class or a shortcut to gaining the freshman 15.